Back with the birdy today. 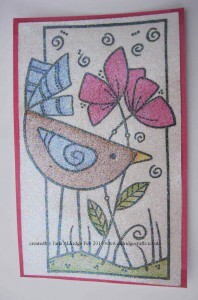 This time I have created a sparkling bird using the Woodware Special Bird stamp. Start by stamping your design onto your card. Cut a piece of A4 double sided sticky sheet from Stix2 to size and stick over the top of the design. Next peel-off the top layer to reveal the sticky sheet and cover it in the Stix2 glitter. Next take your Promarkers and colour over the top of your glitter – don’t worry, it doesn’t damage your pen nib, just remove any glitter that clings. 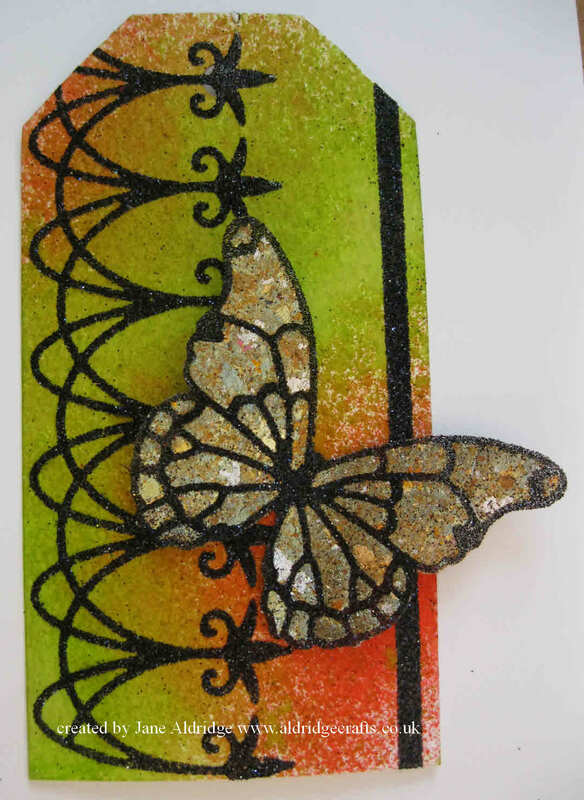 This gives the most amazing bright coloured glittery finish – the picture really doesn’t do it justice! Back with the other tag I have made for this evening’s craft club make & take project. 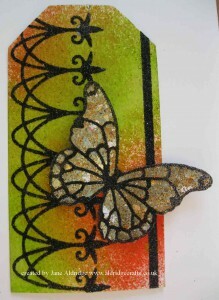 I have worked with the Stix2 White tags and Distress Markers to create the background. 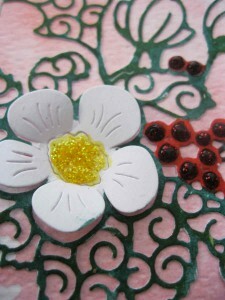 Back tomorrow with a big wow Tattered Lace project! If you would like to join us at club night this evening, just give me a call at the shop on 01953 454976. 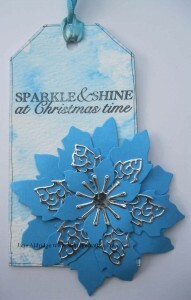 This fun little tag has been created as this month’s make and take project at craft club tomorrow night. There will be a choice of two different designs (you will see the other one tomorrow!). 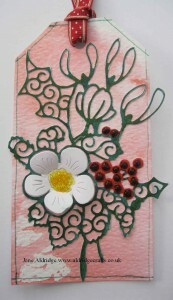 Another bookmark today, this time using the Woodware Curly Love (Blooming Love) stamp. 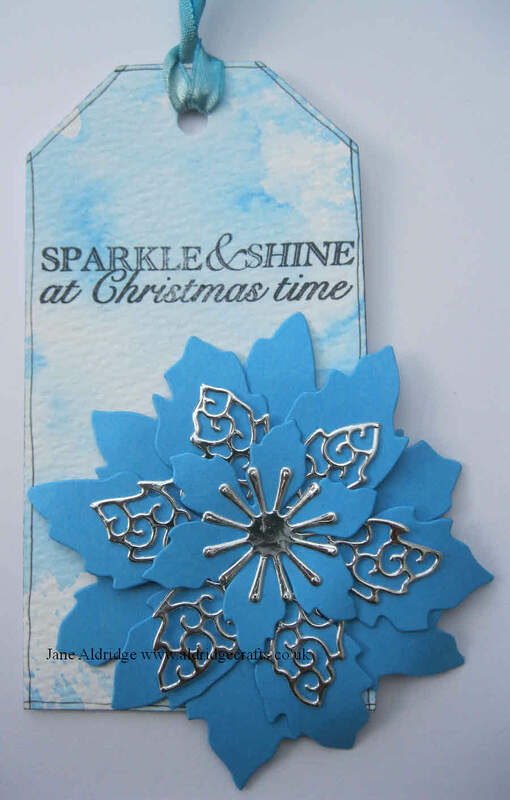 This lovely large flowery heart stamp is fast becoming my latest favourite! I have lots of ideas I want to play with. 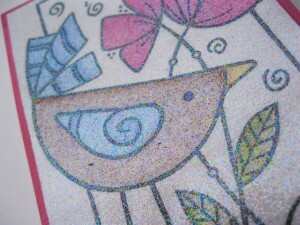 Back again with the Woodware Garden Birdie stamp. Today I have used it on one of the Stix2 Bookmark blanks. 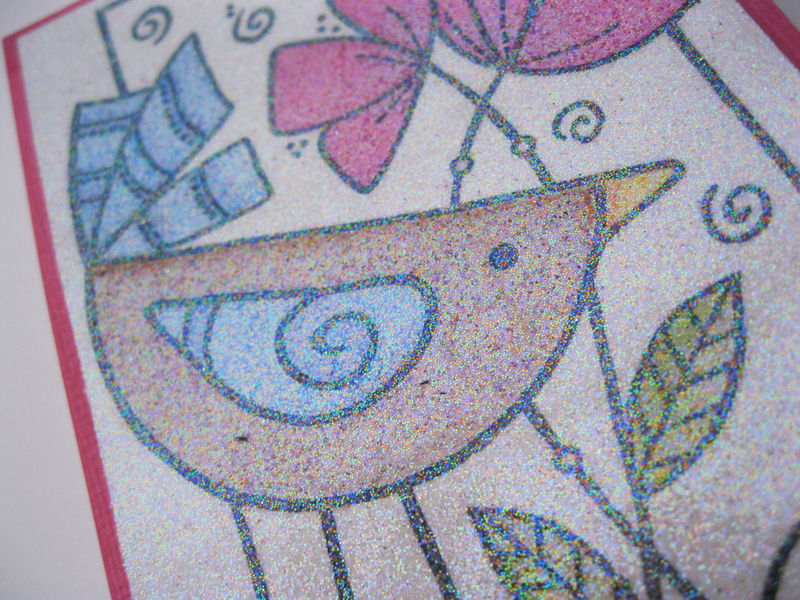 Yesterday I worked in lots of bright colours with this stamp – so today I have kept to just a brown colour palette.